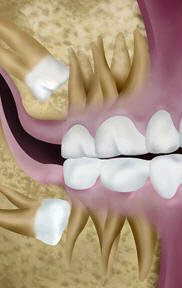 Both of the teeth in the image to the left are horizontally impacted. 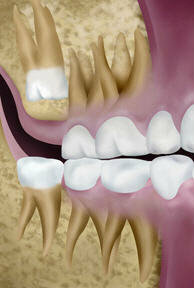 This means that the tooth is perpendicular to where they should be. 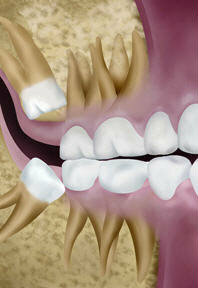 This tooth will not erupt properly since there is no place for them to go and there is almost no chance that they will be guided into proper position in the mouth. 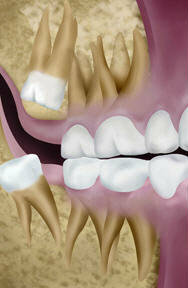 If not extracted, wisdom teeth can be painful and shift your teeth. Call our Fort Collins CO Dental Office today at (970) 224-5599 to learn more about our removal process.